A star of the #LoveSwimming campaign has been honoured by the Prime Minister for her work in helping people living with scarring and disfigurements. Burns survivor Sylvia Mac, from Hackney, has received a Points of Light award from Theresa May after founding Love Disfigure, which aims to raise awareness in the hope she can inspire others to be proud of their bodies. Earlier this year, Sylvia was one of five women who featured in the latest #LoveSwimming campaign titled Escape. It centred on a film showing the extremes of fast-paced modern life and the impact it can have on mental health in contrast to the unique environment offered by swimming. Love Disfigure supports more than 3,000 people with skin conditions, burns, scars or disfigurement. 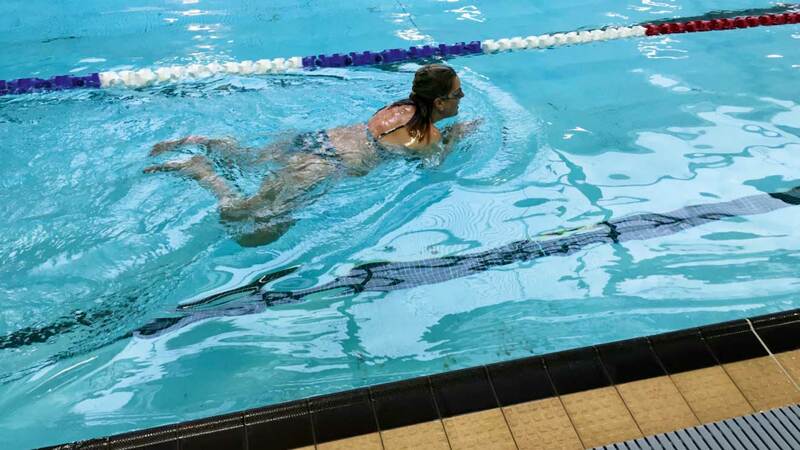 Sylvia, a former competitive swimmer, has also run fortnightly free swimming sessions to help boost the confidence of people with disfigurements our skin and health conditions. In a letter to Sylvia, Mrs May wrote: “Through Love Disfigure you have bravely responded to a difficult personal experience by creating a network where people with burns, scars and skin conditions can support each other and know that they are not alone. Sylvia said: “I am absolutely thrilled and thankful to the Prime Minister for this amazing award. “One of my missions in life is to let young people know that you can achieve anything. “Body acceptance and confidence is something that we should all learn about, so we are able to move forward and progress in our life. “As a child burn survivor, I was unable to accept my body and never felt beautiful so my mental health was affected. “Only two years ago, I had a turning point in my life and decided to change my mindset so I was able to accept my uniqueness, finally feeling beautiful. And Sylvia also pointed out the importance swimming had on her mental wellbeing. She added: “The effects of swimming are limitless. “Besides the health and fitness benefits, I believe that swimming was the only thing in my life that I truly loved. Meg Hillier, MP for Hackney South and Shoreditch, said: “I am delighted that Sylvia’s work has been recognised. Sylvia is the 1,063rd winner of the Points of Light award, which honours shining examples of volunteering across the UK and celebrates their remarkable achievements.